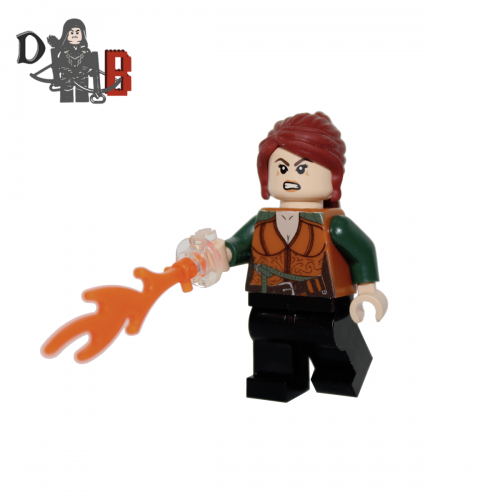 This custom designed Minifigure is based upon Michonne from the popular Walking Dead Series. 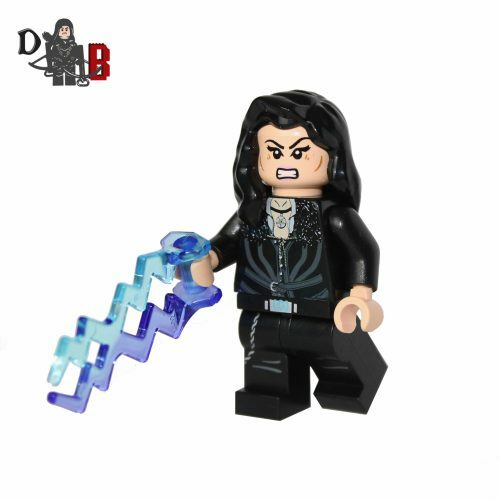 Includes Michonne’s katana and two walkers on chains. 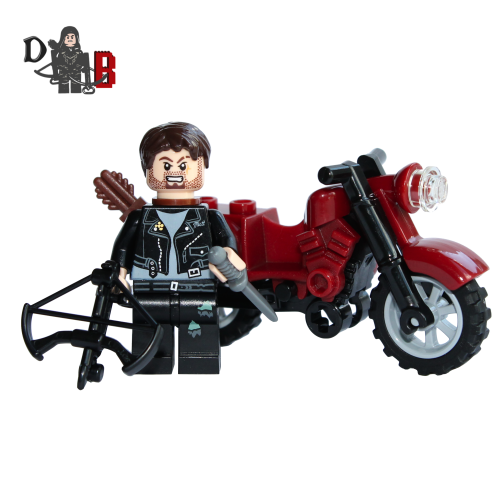 This custom designed Minifigure is based upon Daryl Dixon from the popular Walking Dead Series. 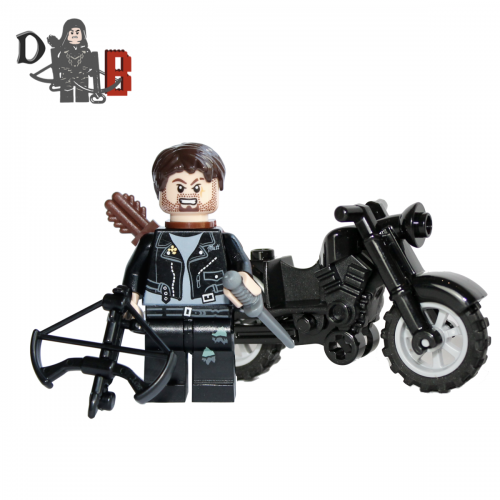 Includes Daryl’s motorbike, knife and crossbow. Made using genuine LEGO parts except for the cross bow which is custom made. 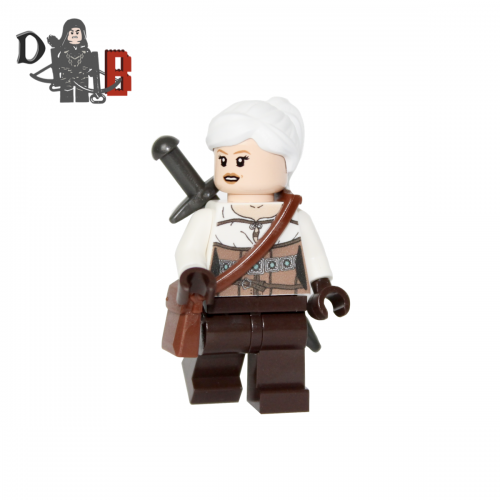 This custom designed Minifigure is based upon Ciri from the popular Witcher Series. Torso has been designed by me and machine printed on. Supplied unassembled in a grip sealed bag. 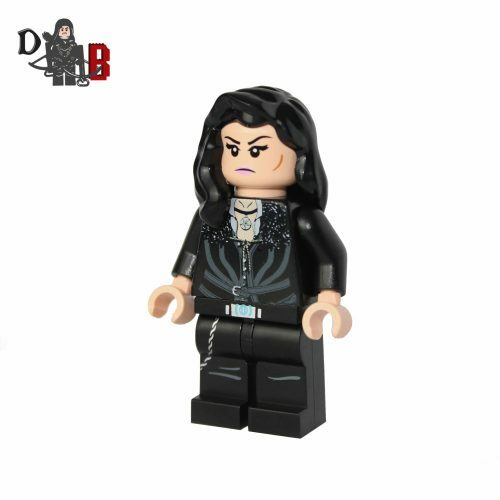 This custom designed Minifigure is based upon Yennefer from the popular Witcher Series. Includes hand attachment with lightning. The chest has been designed by me and permanently machine printed on. 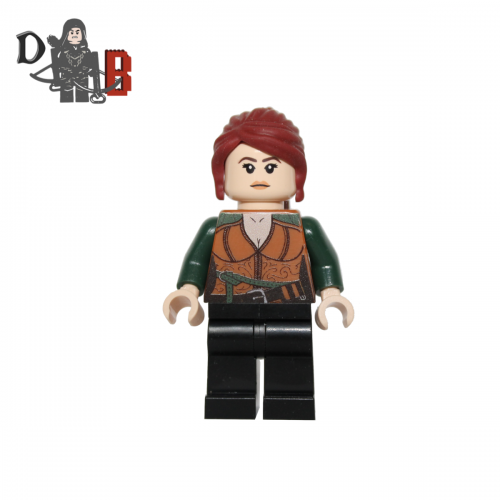 This custom designed Minifigure is based upon Triss Merigold from the popular Witcher Series. Includes hand attachment with flame. 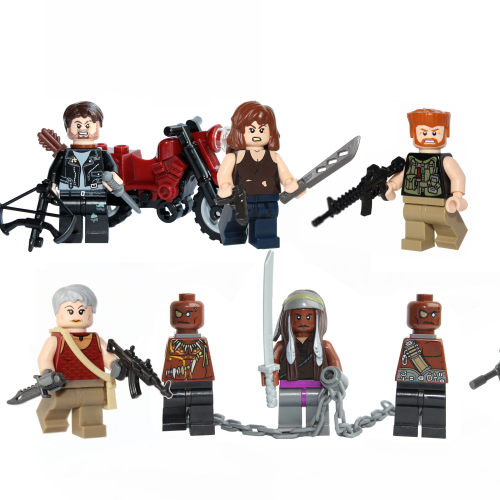 These custom designed Minifigures are based upon Rick, Michonne, Glenn, Abraham, Daryl, Maggie, Carol, Morgan and the Governor from the popular Walking Dead Series. Rick with custom made six shooter and cowboy hat. 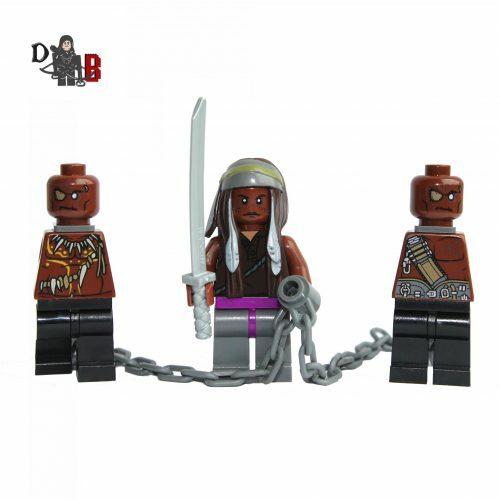 Michonne with two walkers on chains and samurai sword. Daryl with motorbike, knife and custom made crossbow. The Governor with custom made assault rifle and handgun. Glenn with custom made riot armour, rifle and Herschel’s pocket watch. 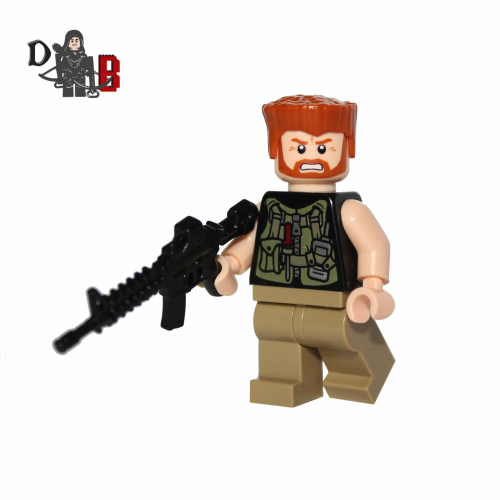 Abraham with custom made rifle. Maggie with custom machete and pistol. Carol with custom knife and assault rifle. Morgan with custom assault rifle. 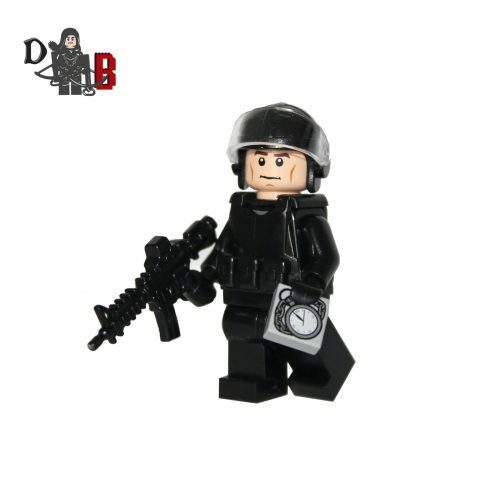 Made using genuine LEGO parts except for the custom pieces mentioned above which are professionally custom made. 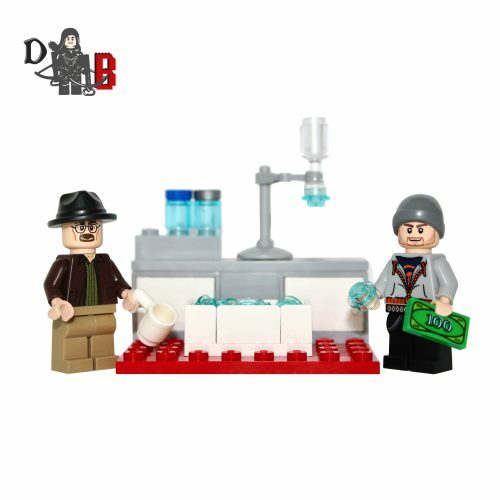 Each Minifigure is carefully packaged into a re-sealable bag and shipped in a cardboard letter box for extra protection. 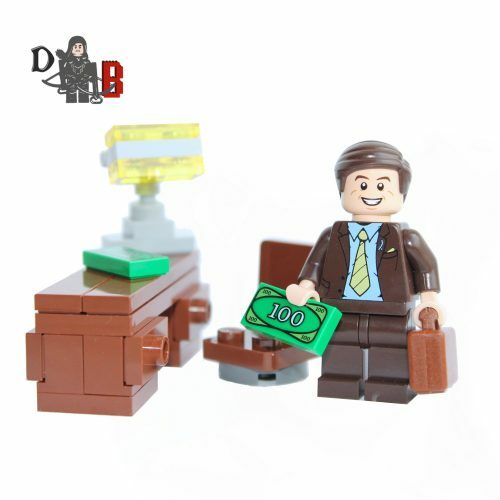 This custom designed Minifigure is based upon Saul Goodman from the popular Breaking bad & Better Call Saul Series. Includes Saul’s suitcase, phone and money. 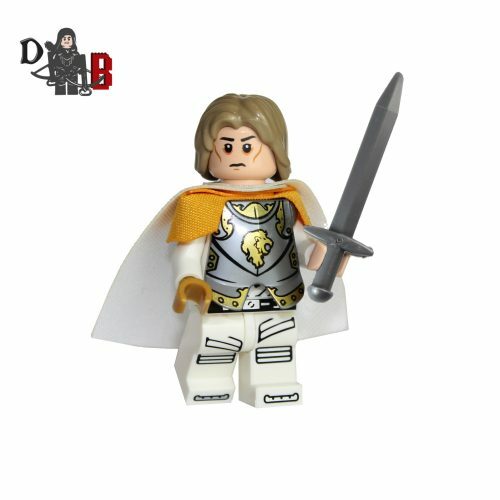 This custom designed Minifigure is based upon Jaime Lannister from the popular Game of Thrones Series. 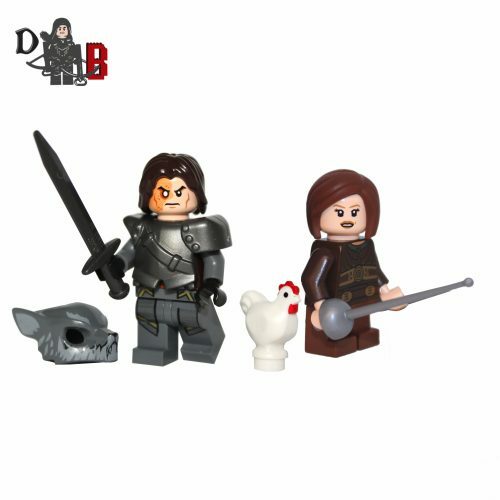 Includes Jaime’s sword and gold hand. The capes are custom made.